The Islamic State and al-Qaeda are waging a deadly contest for territory, recruits and influence in Yemen that is dividing tribes and deepening instability in the Middle East’s poorest nation, according to tribal leaders, security officials and analysts. Clashes are occurring regularly in central Al Bayda Province between Yemeni tribal forces aligned with the two extremist groups. Meanwhile, an online propaganda war of videos, images and even poems is taking place in social media forums and Internet chat rooms as both sides seek to gain more followers and sympathizers. In recent weeks, the fighting has escalated. The Islamic State deployed suicide bombers, including a Somali national, against al-Qaeda positions, killing and injuring more than 10 fighters, including commanders. Al-Qaeda, in retaliation, attacked Islamic State bases, claiming to wrest six of them away. Then, a tribal group affiliated with al-Qaeda did something unprecedented: It offered a $20,000 reward for the apprehension or death of the local Islamic State leader. 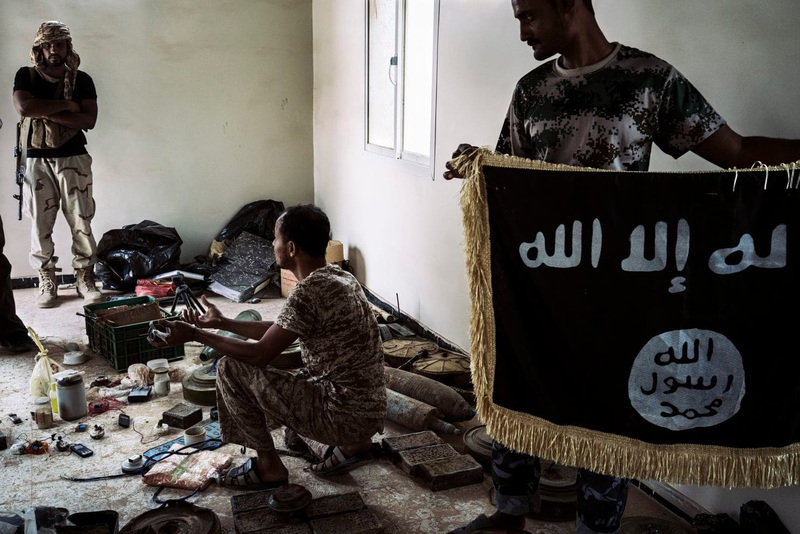 “The rivalry between Islamic State and al-Qa’ida in Yemen has developed into a full- blown blood feud,” Elisabeth Kendall, a Yemen expert at Oxford University, who closely monitors the tensions, said late last month. Even as the so-called caliphate of the Islamic State in Syria and Iraq has collapsed, the group’s branches continue to wage war against governments and foes from West Africa to Southeast Asia, while its ideology continues to inspire violence. In Yemen, the rivalry is birthing a new crop of radicals and sympathizers who could hinder efforts by the United States and its allies to clear Islamic militants from a strategic part of the world and threaten to keep Yemen in turmoil for years, said analysts and Yemeni tribal leaders and officials. The feud is being driven more by parochial grievances and ambitions than a desire to attack the West, said analysts, highlighting the growing localization of Islamist militants groups. “Each one is trying to defeat the other and to show its strength on the ground, to show that they are stronger than the other,” said Ahmed Fadhil Abu Suraima, a deputy governor of Al Bayda province, in a December interview. 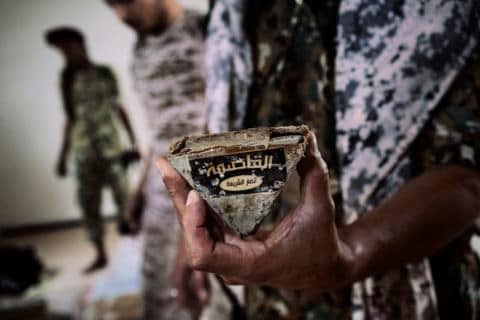 The conflict between the Islamic State’s affiliate, known as ISIS-Y, and al-Qaeda in the Arabian Peninsula or AQAP as the Yemen branch is called, is one among many conflicts unraveling in this country that straddles vital oil shipping lanes. The main war pits northern rebels known as Houthis against the internationally recognized Yemeni government backed by the United States and a coalition of regional powers led by Saudi Arabia and the United Arab Emirates. The four-year conflict has deepened a humanitarian crisis considered by the United Nations as the world’s most severe, pushed the country to the brink of famine and displaced more than 3 million from their homes. AQAP has targeted the West several times, including a failed attempt to bomb a U.S.-bound airliner over Detroit on Christmas Day in 2009 and to send parcel bombs to locations in the United States. The Islamic State emerged after political chaos followed Yemen’s populist Arab Spring revolts in 2011. Today, the group numbers around a few hundred fighters and has waged a guerrilla insurgency in the south, dispatching suicide bombers against Yemeni government soldiers and officials. The Trump administration has mounted a campaign of airstrikes against both groups. So far this year, there have been eight airstrikes, one targeting ISIS-Y and the rest against AQAP. “Both AQAP and ISIS-Y have taken advantage of ungoverned spaces in Yemen to plot, direct and inspire terror attacks against the United States, its citizens and its allies around the world,” said Lt. Earl Brown, a spokesman for the Pentagon’s central command. Many of the airstrikes have struck Al Bayda province. Nestled in central Yemen, the sparsely populated province is rural and mountainous, providing ideal cover for both AQAP and ISIS-Y. Both Sunni Muslim groups have attracted foreign fighters from Saudi Arabia, Egypt, Pakistan and other nations, tribal leaders said in interviews. Some foreigners are in leadership positions. Until a year ago, the two groups had never targeted each other, preferring to focus their efforts on battling the Shiite Houthis, viewing the rebels as apostates. AQAP and ISIS-Y even had bases close to each other, and their foot soldiers often switch allegiances between the groups. That changed in June. “It was basically a disagreement on properties, interests and positions,” Suraima said. Some tribal leaders and analysts say the clashes are a result of minor altercations at checkpoints that quickly spiraled out of control. Other tribal leaders and local officials said the coalition was funding and arming tribes linked to both ISIS-Y and al-Qaeda to fight the Houthis. The disputes, they say, began when the coalition began funneling more weaponry to the tribesmen with AQAP. “The main reason to support them is they want to open new battlegrounds against the Houthis so they can fight them more,” said an influential tribal leader in Qayfa in a December interview. Fearing for his security, he spoke on the condition of anonymity. He added that residents had spotted trucks containing weaponry entering from neighboring Marib, a coalition-controlled area, and headed to AQAP positions. “When ISIS found out, they were angry,” said the tribal leader, whose account was repeated by other tribal figures. Kendall suggested that the feud is “linked to local territorial and power rivalries” and may have been provoked by the coalition to sow rifts inside Yemen’s Islamist militants. According to Kendall, nearly two-thirds of AQAP’s operations have been directed at the Islamic State, less than a quarter at UAE-backed militias who are fighting AQAP, and a mere 15 percent at the Houthis. The Islamic State is even more focused on attacking AQAP, according to her data. In Web-based chat rooms, both groups put out statements claiming attacks against each other. They have bombed each other’s vehicles and motorcycles, targeted each other’s checkpoints, taken each other prisoner. Some battles have lasted as long as 10 hours. They are also seeking to attract defectors, fresh recruits and sympathizers through their propaganda war. Al-Qaeda has noted that the ISIS caliphate is on the decline while ISIS has boasted it is more professional than AQAP. In a slick 38-minute film, ISIS showed its suicide fighters being trained. In an AQAP video, titled “testimonies from the Islamic State’s dungeons,” ISIS defectors recall being declared apostates and tortured in cramped ISIS cells, whipped by chains and starved of food. An ISIS video on April 1 expressed nostalgia for their lost caliphate and romanticized Islamist militant life, showing fighters cooking, cleaning weapons and citing poetry. With the end of the caliphate in Syria, ISIS-Y hopes to gain more territory, more popular support, analysts and tribal leaders said. But most Yemenis view the group as too brutal and overbearing. AQAP appears more focused on fighting for local supremacy than international terrorism, analysts said. But how long will that last? “The danger right now is that because they have an active domestic insurgency wing, that wing can act as a base to rebuild and restructure their international terrorist wing,” said Gregory Johnsen, a former investigator on the Yemen panel of experts for the U.N. Security Council.